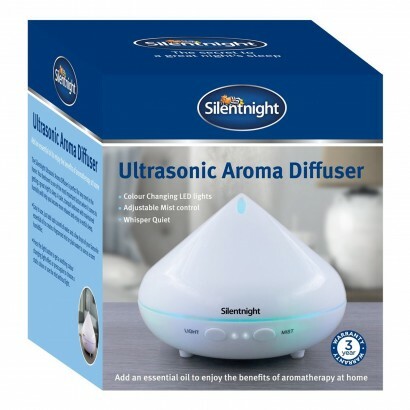 Relieve stressed out minds and ease away the strains of the day with soothing scents and colourful light from this ultrasonic aroma diffuser from Silentnight. 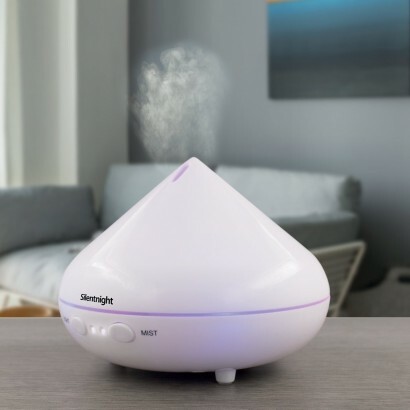 Fill with 200ml of water, add a couple of drops of your favourite essential oils and fill the air with relaxing aromas for a spa like feel. 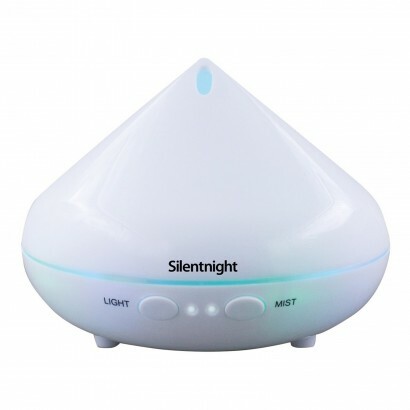 Ideal for meditation and relaxation, this soothing aroma diffuser not only uses relaxing scents but also has colour change LEDs to cast a tranquil light show into your environment for the ultimate relaxation and meditation experience. 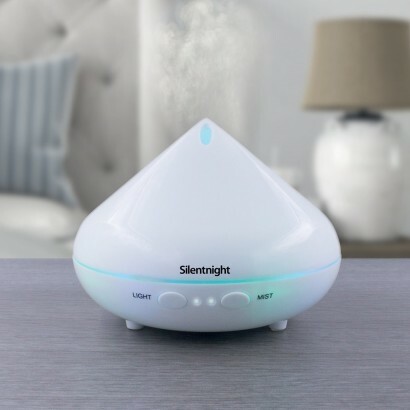 Not just for relaxation, this handy little diffuser can be used as a humidifier too, simply fill with water and help to relieve allergy symptoms and more.